Christian Mark Jacobs cuts a tall, slender figure, with neatly combed hair and broad shoulders, so he may, at first glance, intimidate. But with his cherubic grin, watery blue eyes and a quick-to-laugh disposition, he generates more than enough warmth to put one at ease. Jacobs is the founder and proprietor of The Naked Patisserie, a bakeshop that specializes in premium and bespoke cakes for weddings and other special occasions. But at the home he shares with husband and A-list fashion designer Francis Libiran, Jacobs maintains complete cleanliness and orderliness—no dough splatters and chocolate stains­, not a single patch of flour on the floor. Still, that doesn’t mean that the self-described Naked Foodie isn’t a busy man. On the day of Entrepreneur Philippines' visit Jacobs and his team from Naked Patisserie had already done five cake tastings with different sets of brides and grooms, gone to the gym and was getting ready to film himself eating balut somewhere in Manila for his over 26,000 Instagram followers. He was also working on the label for his own wine. It’s a packed schedule for an American transplanted from the sunny US state of Florida to the even hotter streets of Manila. Jacobs’ early years were spent in Daytona Beach, which he calls “spring break heaven,” surrounded by the sights and sounds of seafood and the Daytona 500. At age six, the family moved to Atlanta, the first of many more moves to come. His father stayed in his native Florida and so he would go back and forth, birthing perhaps in a young Naked Foodie a spread-out concept of home. “I have roots in both places,” he says. When it comes to food, his memories growing up are of the comforting variety. “We’re very much a meat-and-potatoes kind of culture in the South, so roast beef, meatloaf and macaroni cheese.” These seem to have embedded themselves in Christian’s foodie subconscious, and helped him shape the types of dishes he cooks today. By high school, Jacobs was cooking for his family five nights a week. “All my siblings had to do one chore per day and the chores were really boring, like matching socks or vacuuming,” he says. “Cooking was one of the chores in my mom’s eyes, but to me it wasn’t a chore. 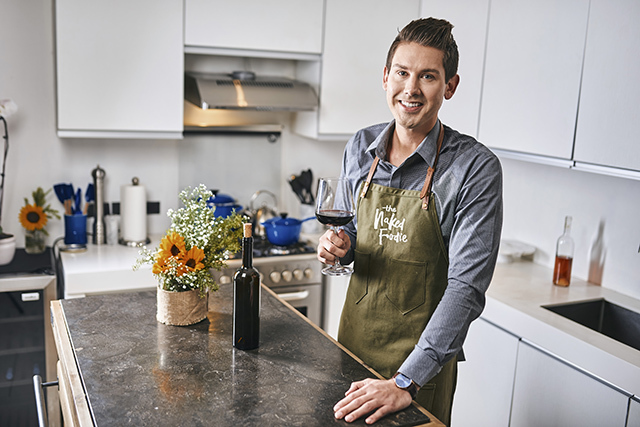 It was fun.” It was so much fun that throughout a college education spent studying counseling psychology, he continued working in restaurants and catering services, which he started doing at the tender age of 14. A difficult American job market in 2008 sent Jacobs to South Korea where he taught English, all the while maintaining “a very small artisan food group,” which sold hummus, aioli dip and other products to other foreign teachers. “I’d make them in my little studio apartment and jar them up,” he says. 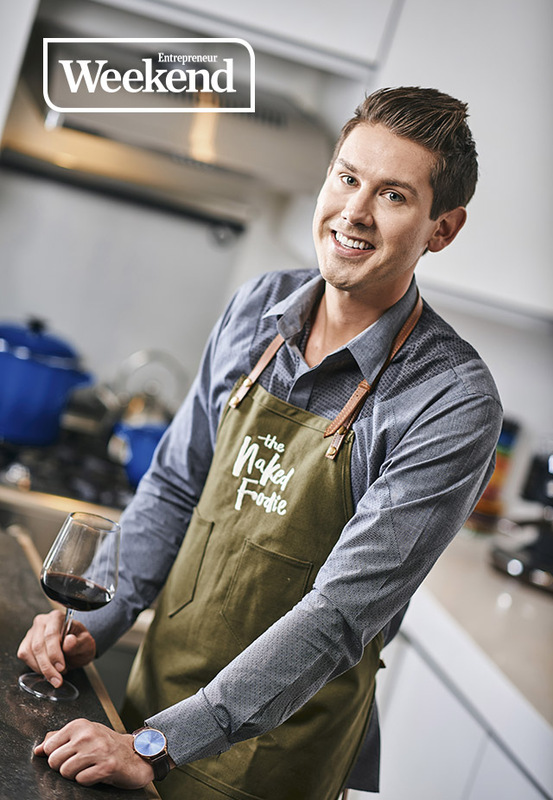 After South Korea, Jacobs moved to Singapore where he continued his culinary routine by hosting what he called “Wednesday Dinners” with his roommate, best friend and a fourth seat for a new person they would invite every week. “If you’re going to live in a foreign country, you’re going to have to assimilate,” Jacobs says. It was during these home-cooked dinners that he learned to experiment with different kinds of fusion food, bits and pieces from the cooking classes he took over his travels through places like Thailand, Indonesia and Vietnam. This keen eclectic approach to food and adventurous spirit are reflected quite clearly in Jacob’s approach with The Naked Patisserie. “It all starts with having a creative mind, having an innovative mind to make a product that isn’t out there or maybe is out there but doing it a little bit differently,” he says. Jacobs himself imbibed this philosophy with the first cake he ever produced—the one for his own wedding in Boracay last year. The cake was flown in pieces and put together on the island. 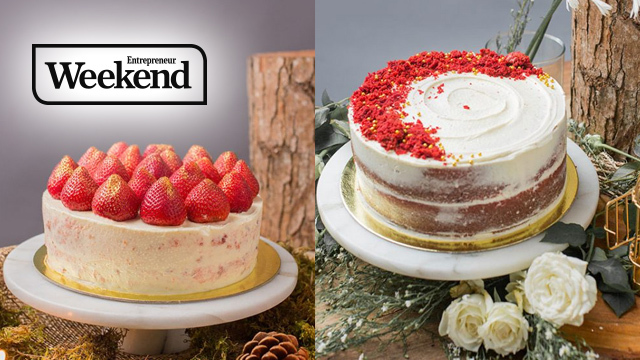 The Naked Patisserie maintains a commissary in Mandaluyong, from which Jacobs and his team offer “rustic, nature-inspired” cake designs that can be personalized based on the requirements of his clients. The designs of the cakes and their packaging echo the patisseries scattered around Paris—where Jacobs met his future husband Libiran—and reflect recipes found in the cookbooks he thumbed through as a child. To make the process even more convenient, clients can browse The Naked Patisserie’s online store, order with just a click and have their cakes delivered to their doors. The business is barely a year old but Jacobs has already become a favorite of local celebrities for their cakes and pastry needs. 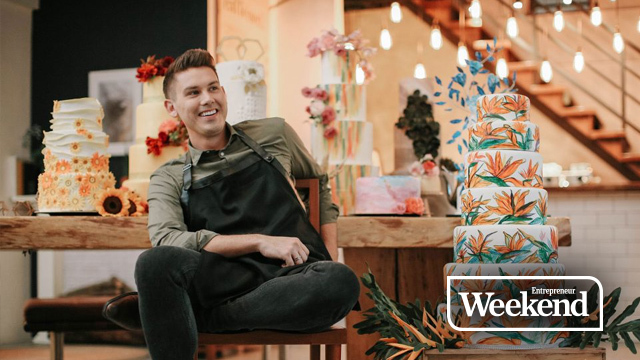 Over the next few months, The Naked Patisserie will work on the wedding cakes of Christian Bautista and Kat Ramnani, Moira Dela Torre and Jason Hernandez, and Kryz Uy and Slater Young, just to name a few. Jacobs says there are also plans to open his own full-service bistro down the line. These days, he’s also busy getting to know his adopted home country, traveling to the provinces and learning about their culinary treasures. Having lived a life where he moved from place to place and profession to profession, what was once an escape for Jacobs in his studio apartment has become his love and daily passion.